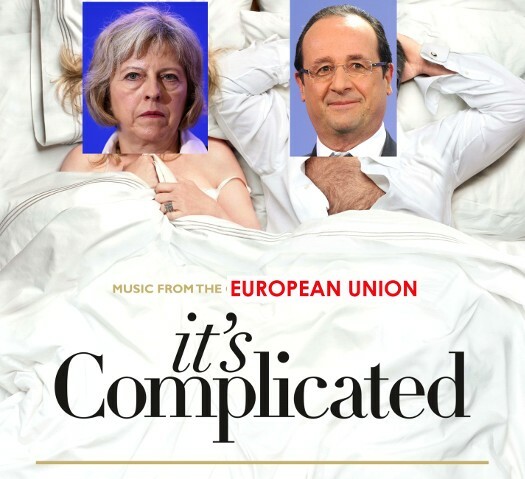 The British Gazette » Brexit: It’s Complicated! “It’s Complicated” is the title of a 2009 US “rom-com”staring Meryl Streep as a successful bakery owner and single mother of three who starts a secret affair with her ex-husband, played by Alec Baldwin, ten years after their divorce – only to find herself drawn to another man: her architect Adam played by Steve Martin. Ever since historians have speculated and hypothesised about “What if…..” Reams and reams have been written about how the world would be now if such and such had or had not happened. Of course, this is pointless. It did happen and we all reap the consequences today. But what this imaginings DO do is to demonstrate the very real consequences of our actions. On Thursday 23rd June 2016 17,410,742 people voted for the UK to leave the EU. 16,141,241 voted for the UK to remain in the EU. A majority of 1,269,501. There are now many speculating about what if 634,751 of those who voted Leave had voted Remain. There is however no point to this. What there is much point to is to consider where we go from here and what decisions we take. Many in UKIP are of the opinion that what the UK has to do is to negotiate a “trade deal” with the EU which allows tariff free – by which they mean zero tariff if they do not want to be a member of the Single Market but merely access to it – access to the EU Single Market to the UK with a reciprocal arrangement for the EU to have zero tariff access to the UK Market. For nothing. Some of these folk do not even see the need to submit Article 50 and demand instead a straightforward repeal of the European Communities Act, 1972. Not only do these people possess a completely unrealistic opinion about the UK’s negotiating strength. They also have demonstrated a fundamental ignorance about just what the Single Market is. Well Dear person who thinks along these lines, the Single Market is what it is! A single market. That was the idea and that was what was created. So to spell it out, how precisely does the Single Market operate? Well let us give a real world example. Up to 2005, I operated a mail order business selling clocks and watches. In the case of a customer in say Benington, 3 miles east of Stevenage in Hertfordshire, I would receive payment in Sterling and I would post the watch to the customer. In the case of a customer in Benidorm (there are many British ex-pats living there) I would receive payment in Euros which would be automatically converted into Sterling and I would post the watch to the customer. There were two points of difference between the customer in Benington and the customer in Benidorm. The customer in Benidorm paid me in Euros and my bank (Lloyds) to a cut in terms of a currency conversion charge. In addition the Royal Mail charged me more money to post a watch to Benidorm than it did to Benington. However what it is important to realise that apart from these two MINOR points the transactions were essentially identical. There were no customs procedures to follow. There was no need to appoint a freight forwarder. What it is important to realise that zero tariff is not the same thing as no tariff! They are very different! Were the UK to get what many in UKIP want there would have to be the customs procedures to follow, even though no actual tariff would be paid as it would be zero rated. The bureaucracy would have to be set up. Furthermore, such a deal could only cover goods. It would not cover services – which includes financial services. This is a very important aspect of the UK economy, as is the service industry in general. EEA membership which means membership of the Single Market ensures that these industries will be relatively unaffected by Brexit. In particular we need to consider the future of the European Medicines Agency (EMA). Having this in London is a boost to the British pharmaceutical industry. Following Brexit other EU countries are seeking to have the EMA relocated. Whilst there is no chance of the EMA being retained in London if the country is outside the EEA, there is a chance that London could hold onto the agency were we to adopt FLEXCIT (EFTA + EEA). Such an outcome however is by no means guaranteed. Of course, it goes without saying that retention of the European Banking Authority (EBA) in London post Brexit is not on the cards – unless……. Unless of course Mrs May and Ms Sturgeon focus their energies on the Lafrowda Solution (http://www.british-gazette.co.uk/2016/07/16/the-lafrowda-solution-the-european-communities-disapplication-england-and-wales-bill/). In these circumstances there is a good chance that Edinburgh could be the home of these two agencies. This would help Edinburgh enormously.